• Work within limits: Too much furniture will turn a cosy home into an obstacle course. Rather than stuffing an area with sofas, armchairs, a side table and coffee table, you have to be realistic about what will fit and how you live. • Curate displays: Bare surfaces enhance line and length, but beautiful objects help to direct the eye. However, there is a fine line between clutter and displaying keepsakes; the difference is in the arrangement. For the best results, try grouping items in odd numbers and varying heights. • Edit the palette: A little restraint, when it comes to colours and materials, can go a long way. As a rule, choose three base materials and try not to stray too far from them. If you feel like this cramps your style in any way, consider that neutral and natural surfaces create a chameleon-like backdrop for future colour experimentations. 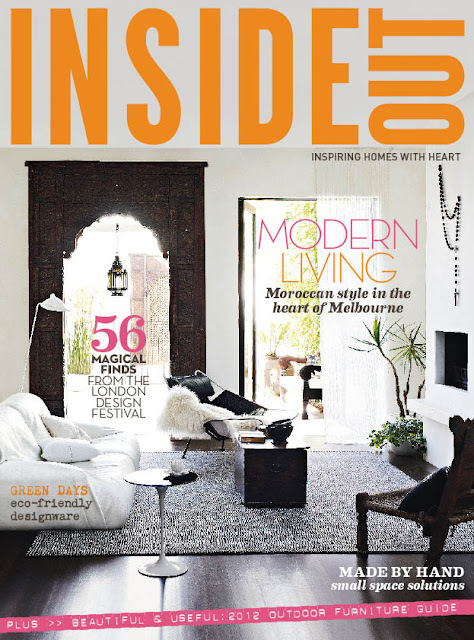 PS It's packed with over 170 pages of holiday reading - think beautiful homes and inspirational design ideas a-plenty! The Jan/Feb issue of Inside Out is on sale now.